Of Hanna-Barbera's “Meddling Kids” series, the cartoon most similar to Scooby-Doo, Where Are You! 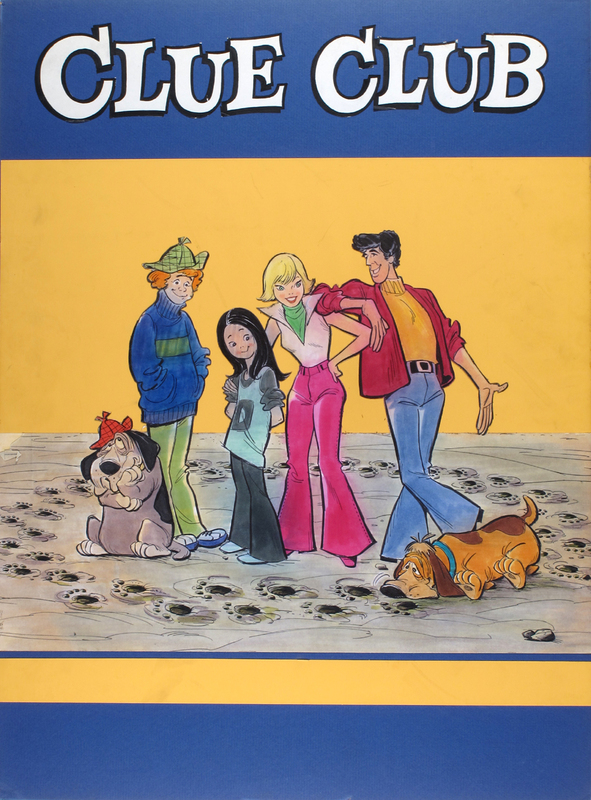 is Clue Club, which consists of four teen detectives and their two dogs. The youngest of the group, Dottie, mans the home base computer while Larry, Pepper, and D.D. travel to investigate cases, accompanied by their talking dogs Woofer and Wimper.